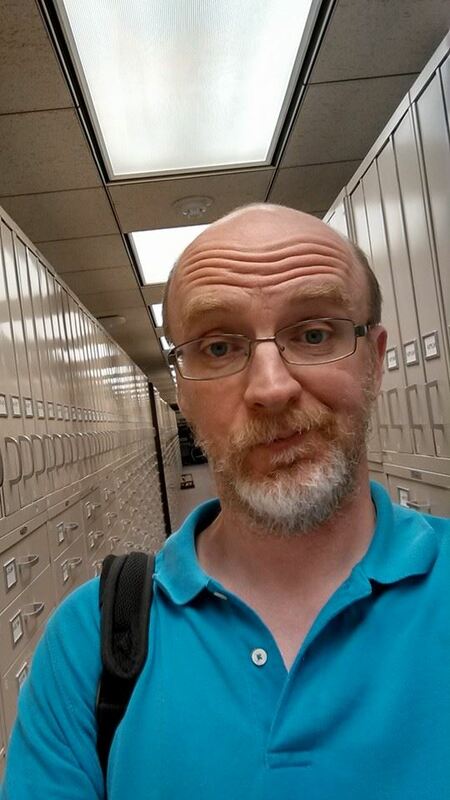 Michael in the microfilm area of the Family History Library–taken in 2014. This has already been given and is available for immediate purchase and download. If you pre-registered for a download and have not received it, please forward your receipt to mjnrootdig@gmail.com and I’ll send you the download link. You do not need to repay. Hooray! I am a missionary on the international floor of the FHL in Salt Lake City. The more prepared you are the more we can help. There are big changes going on at the Library right now. The main floor is being remodeled and will included a family search discovery center among other things. You might want to call ahead and see what’s new and how it can be of service to your group. Also, if you have a problem with your tree on Family Search there is an Escalation Team on the 3rd floor that can help resolve issues – come prepared with the problem documented and well laid out. You may already be planning to share this but….. look at the family search catalog and see what resources are in the library and what is in the granite vault or high density storage. If we can get things out of storage for you in when you first arrive that will help you have a more productive visit. Remember that there are a whole lot of things still on microfilm and we have a collection of maps from all time periods that is second to none. Come see us on level B1 – the International group. Thanks, Marlene! Those are all good comments and suggestions. I always encourage people to be “over-prepared” and have multiple families to work on–in addition to the ideas you gave. There is so much at the FHL that is not online and you are exactly right about knowing what’s in the vault versus onsite, which is why it is imperative to look at the catalog before you ever set foot in Salt Lake. Thanks! I registered for the Jan. 5th FHL webinar. Do I have to pay extra for the handout? The handout is included in the live and recorded presentations. The attendance is through GotoWebinar and the links for those usually go out within 24 hours of registering. The handout is sent closer to the actual presentation. If you don’t get it the “invite” by the evening of the 3rd, please email me at mjnrootdig@gmail.com. Thanks…and thanks for letting others know about the presentation. That is appreciated.